Before using your Rachio, you will need to Add a Controller to your account. This can be done in just a couple quick steps. If you're adding a controller to your account for the first time, login to the Rachio app and then follow the instructions to add the controller to your account. Need instructions on installing your Rachio controller? Visit the quick start guides to get started! Need to add another controller to your account? From the Home screen, tap on the name of your current controller (in the upper left hand corner of the Home screen) to access a list of your controllers. From the list of controllers, tap the blue plus sign (in the bottom right corner of the screen) to add a new controller. which will take you to the "Add Controller" screen. Scan the barcode on the controller. You can also add your device manually by entering in the serial number when prompted. Follow the instructions to connect your controller to Wi-Fi. Once your controller is activated, you can continue by setting up your zones, or select "Finish Later" to configure your zones at another time. 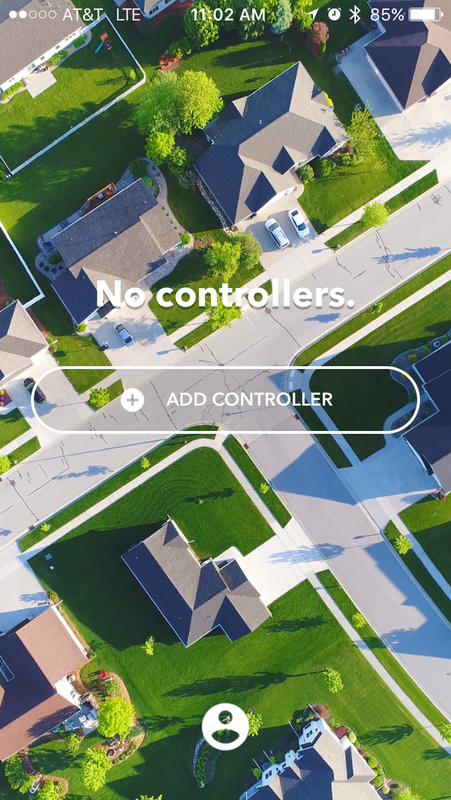 If you have multiple controllers on your account, you can flip back and forth between controllers to access controller settings, water usage data, and more. Want to switch to another controller view? 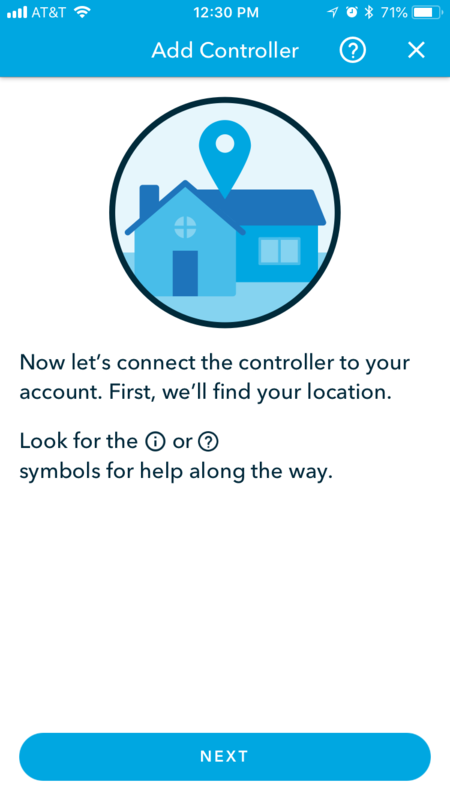 From the Rachio app's Home screen, tap the name of your active controller (or the arrow next to it). From the list of controllers on your account, select the controller you would like to switch to by tapping the name of the desired controller. Verify your active controller by confirming the controller name displayed in the top right hand corner of the Home screen.